Save $6.25 From Retail List Price!! Power and charge your iPhone or iPod on-the-go, and enjoy extended playtime with a 1900mAh external battery. 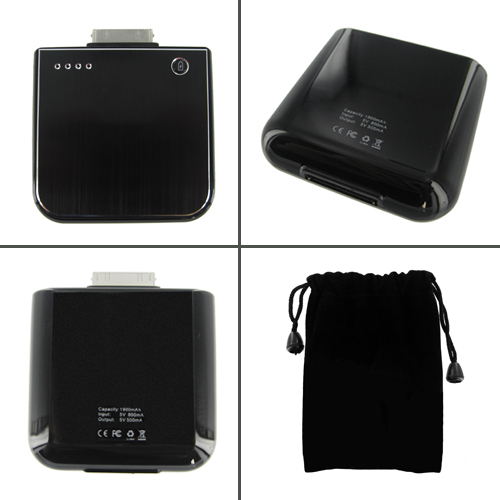 Included a black velvet bag to keep your external battery safe and secure.